Got kids? Want to raise them with a love of God and their fellow humans? 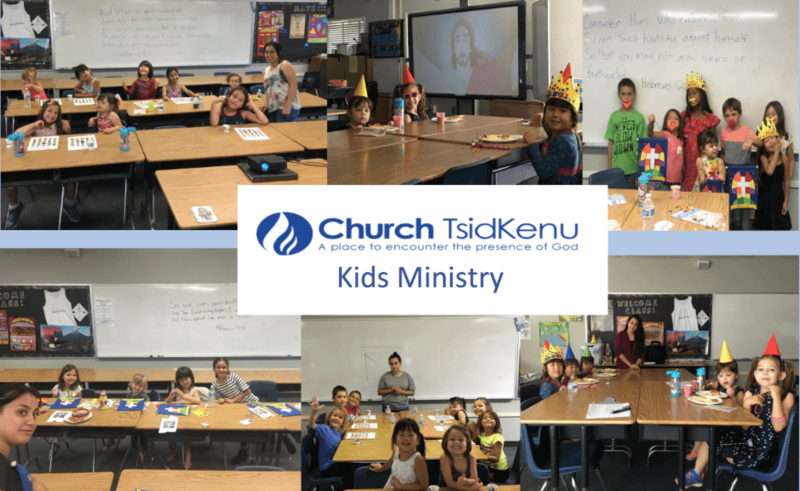 Kids church, our San Diego children’s ministry, is an awesome opportunity for your children to enjoy growing closer to God and have fun with friends. Staffed by quality volunteers, our kids church is also a great chance for you to get a break and draw closer to God as well, knowing your kids are in good hands. We have many awesome volunteers who love to help the kids grow in their relationships with God and with each other. The kids are taught about the Bible story in an age appropriate way, and cared for by our volunteers. We are very gratified when we see the fruits of our labor — we continually see the kids in our children’s ministry growing closer to each other and to Jesus! When children get Godly instruction from an early age, it is easier for them to see His hand in their daily lives — in small events and big ones, too. And when you don’t have to be worried about where your child is at all times, it is much easier for you to work on your own relationship with your Creator. One of the side benefits of our children’s ministry is that your whole family has a chance to grow in their faith, and develop a rich spiritual life that will fill your home with love and gratitude for God’s many gifts. Our children’s ministry gives your child a great foundation for a life lived in the church, with love of God and service to others being important parts of a rich spiritual life. Besides teaching the kids about what God has done for them and helping them to act respectfully to each other, we are also big on helping them cultivate their spiritual gifts and teach them how to heal and about their identity. Kids church is about much more than just babysitting, although that is certainly a benefit for parents who want to enjoy the church service and enhance their own worship! If you’re interested in taking part in our church’s children’s ministry in San Diego, please email our children’s coordinator with any questions: Rosemary at rvargas1989@yahoo.com.